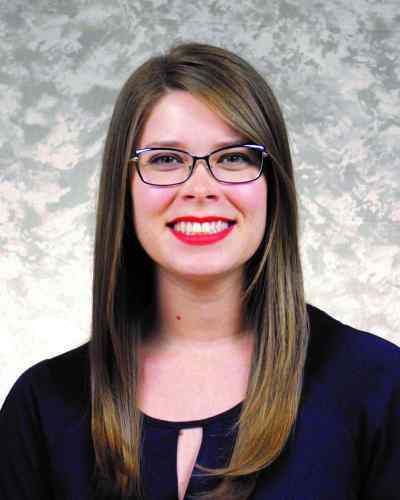 Congratulations to the following Ohio State University College of Optometry students, who have been named Student Fellows of the American Academy of Optometry. In a record-breaking year, 37 Ohio State Optometry students earned this prestigious honor. 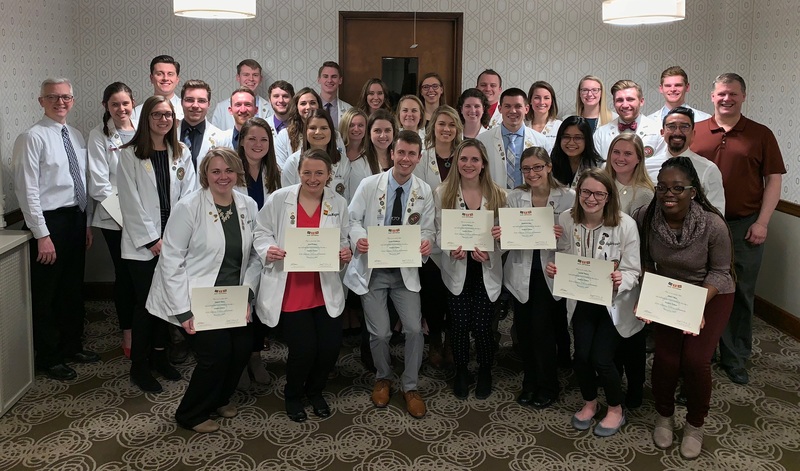 Traveling to the American Academy of Optometry’s annual meeting is one of many highlights of The Ohio State University College of Optometry student experience. The following students will receive funds to attend Academy 2018 in San Antonio, November 7-10, thanks to generous travel fellowships. 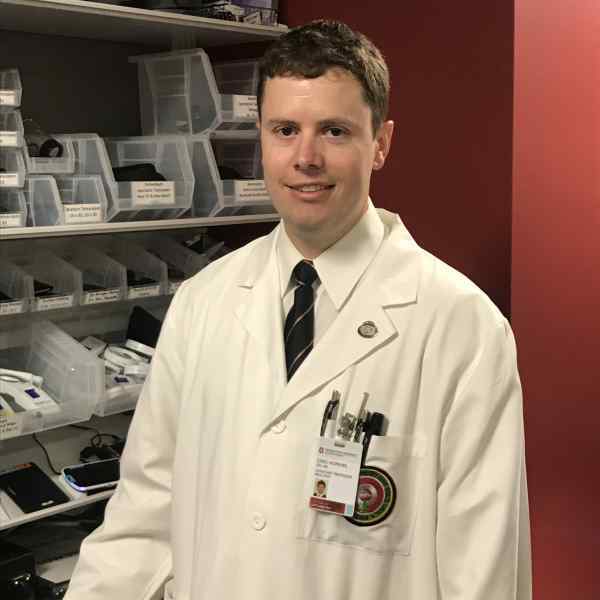 Greg Hopkins (OD'10/MS’14) is the 2018 recipient of the Fredric Rosemore Low Vision Educational Grant, awarded by the American Academy of Optometry Foundation (AAOF) in collaboration with the Frederic and Marion Rosemore Family Foundation. The grant enables institutions to provide care and support personnel directly related to the field of low vision. 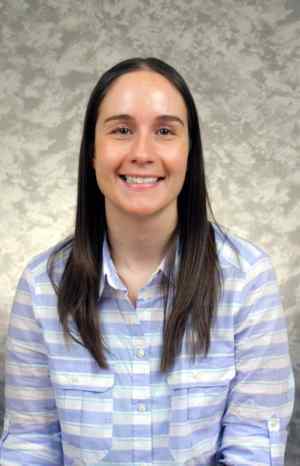 Kelsy Steele, OD, MS, has been named the George Mertz Contact Lens Residency Award recipient. Cornelia Peterson, DVM, received an IGNITE grant from the Cincinnati Eye Institute Foundation to determine whether exogenous insulin will improve corneal homeostasis and wound healing in corneal epithelial cells (CEC) and stromal cells. The grant provides support for experimental supplies to be used throughout the project. The Ohio State University and nine other Ohio universities and colleges got a vote of support recently when the National Science Foundation renewed a grant that will help the alliance continue its work to increase the number of underrepresented minority students in STEM fields. 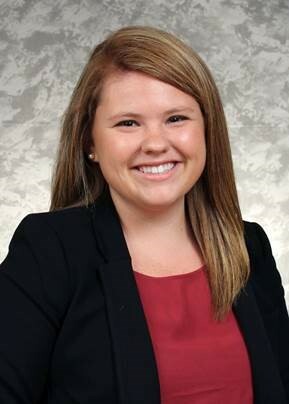 Bridget Lorenz of The Ohio State University College of Optometry's Class of 2020 has been named the 2018 Ohio State winner of the J. Pat Cummings Scholarship sponsored by Johnson & Johnson Vision Care and the American Academy of Optometry Foundation. 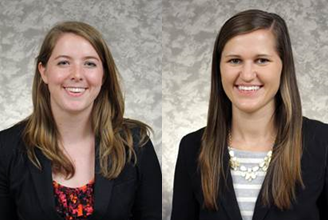 Hannah Davidson and Kelly Morgan of The Ohio State University College of Optometry's Class of 2019, [pictured left to right] have been awarded the 2018 VSP and American Academy of Optometry Foundation Practice Excellence Scholarship. Congratulations to The Ohio State University College of Optometry's Professor Emeritus Paulette Schmidt (OD’73, MS’76) and the Vision in Preschoolers (VIP) Study Group, the 2018 recipients of the Bonnie Strickland Champion for Children’s Vision Award (Group Category). The Advisory Committee of the National Center for Children’s Vision and Eye Health recognized the work of Dr. Schmidt (Chair, VIP Study Group) and VIP at its Annual Meeting on August 4 in Arlington, VA.
Three Ohio State University College of Optometry PhD students earned William C. Ezell Fellowships from the American Academy of Optometry Foundation. Katherine Bickle, OD, MS, FAAO, was named the Danne Ventura – Essilor Ezell Fellow; Phillip Thomas Yuhas, OD, MS, FAAO, was named the Merton C. Flom Leadership Ezell Fellow; and Ann Morrison, OD, MS, FAAO, was named the Mike Daley – Essilor Ezell Fellow. 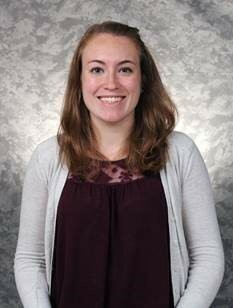 Taylor McGann (OD’17) and Steven Manning (OD’18) have been named as recipients of The Ohio State University College of Optometry Dr. Allen James Fortuna Memorial Scholarship for graduate students studying pediatrics. 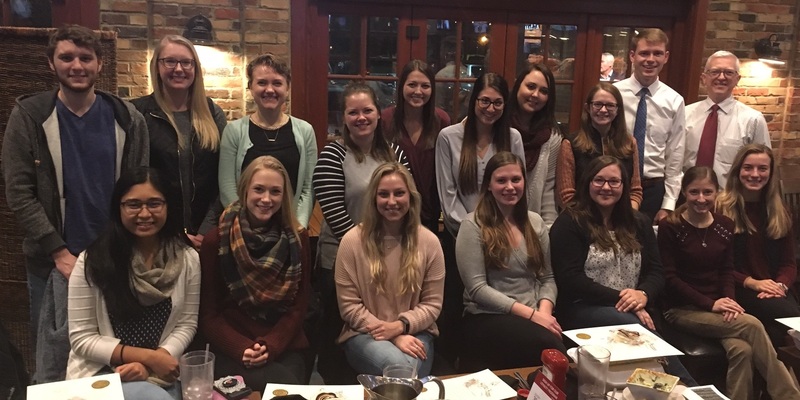 Carolyn Chakuroff, Kelsey Ferlin, Christi Locke, Kelly Morgan and Whitney Spitnale of The Ohio State University College of Optometry's Class of 2019 (pictured left to right below) have been named as recipients of the 2018 Walman Scholarship. This is a national award involving applicants from all schools and colleges of optometry.